When selling the battery, applying this protector of Motor Battery Doctor on the new battery can achieve the optimal life extension effect. This protector of Motor Batteries Plus can be connected with both ends of the battery for a long time, and it can conduct real-time desulphation and protect the battery in 24 hours of the whole day. This protector also can be directly applied on the old battery which has been used less than half a year, with repair and life extension functions. This protector can keep the battery staying at the same status as that of the new battery, which can make the vehicle started faster. Improve the battery capacity and save money and worry for the user. Reduce battery scrap and environmental pressure. GPS series of Battery Indicator and Monitor is specially applied for logistics truck. Blue tooth series is specially applied for family car. Our team developed and patented a smart pulse desulphation technology that I believe revolutionized battery maintenance and recovery methods. As you will read, the application of this technology is kind of just as [doctors treat patients in hospital" to keep it healthy again or recover it as new battery for a longer time. Wide validation was approved by experts in various fields more than 20 years, by helping keep plates clean, the battery works harder than ever thought possible. It maintains a greater reserve capacity, will recharge faster and release more of its stored energy. That's why we present the 12V Motor Battery Pro of Stat-up Battery Protector family. We offer you a fully automatic battery pulse regenerator and protection system, it works 24hrs a day. 12V Motor Battery Desulfator is not a common battery charger. It is a patented electronic sulphated crystals desulfator which will eliminate the battery sulphation that is the main cause of early failures in lead acid start-up batteries. It's used in 12V5Ah~36Ah motor lead-acid battery. It is special for start-up battery of vehicle or street and road lamp batteries, electric agricultural spraying batteries, etc. Choose a battery smooth surface with no heat, no overflow acid and not sealed, wipe out the dust and water vapor; tear off the double-sided adhesive protective film at the bottom of the Battery Smart Pulse Protector, press to the installation position,( 56625067,suggest to prepare glass-rubber or AB glue to make the protector bottom firmly adhesive). Loosen the fixed screw on battery pole, connect the black wire of protector to the negative(-) terminal of the battery, the red wire to the positive(+) (refer to the drawing below), and then tighten the screws of battery. 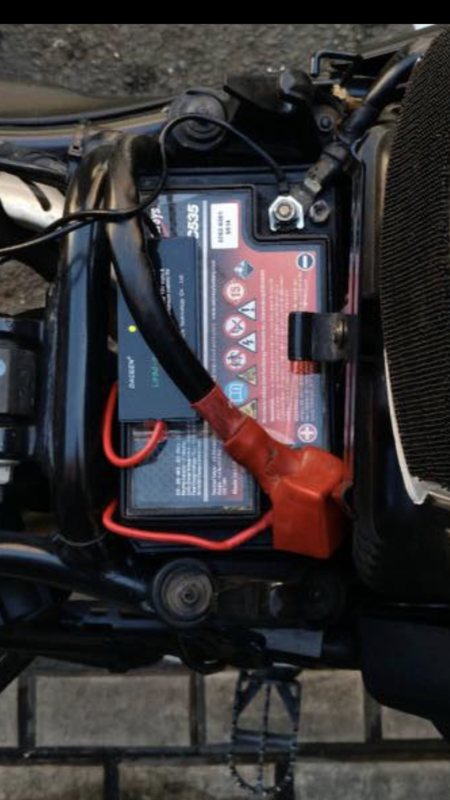 The 12V Motor Battery Pro device identified herein is covered by a 2-YEAR warranty valid from the date of purchase. This warranty covers defects caused by faulty components or workmanship, including the labour required for repair in our authorized workshops.This warranty does not cover defects caused by incorrect installation, improper use or abuse. The existence of such causes shall be determined by our workshops technical services. Looking for ideal Motor Batteries Plus Manufacturer & supplier ? We have a wide selection at great prices to help you get creative. All the Motor Battery Doctor are quality guaranteed. We are China Origin Factory of Battery Indicator and Monitor. If you have any question, please feel free to contact us.